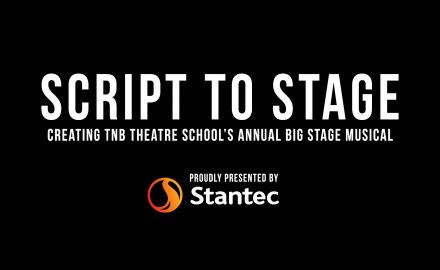 Script to Stage – Creating TNB Theatre School’s Annual Big-Stage Musical. Presented by Stantec (Fredericton) Theatre New Brunswick. Intermediate Musical Theatre class is cancelled this evening, Thursday, February 9, due to the winter storm warning. Due to the storm, TNB Theatre School classes are cancelled for this evening. Senior Musical Theatre is cancelled tonight, Monday, March 21, due to weather conditions. Theatre School – Spring 2016 March 7-12: No regularly scheduled classes due to March Break March 25-28: No. Due to weather conditions JMT 2 (1-4pm) are cancelled today, Wednesday, March 2, 2016.